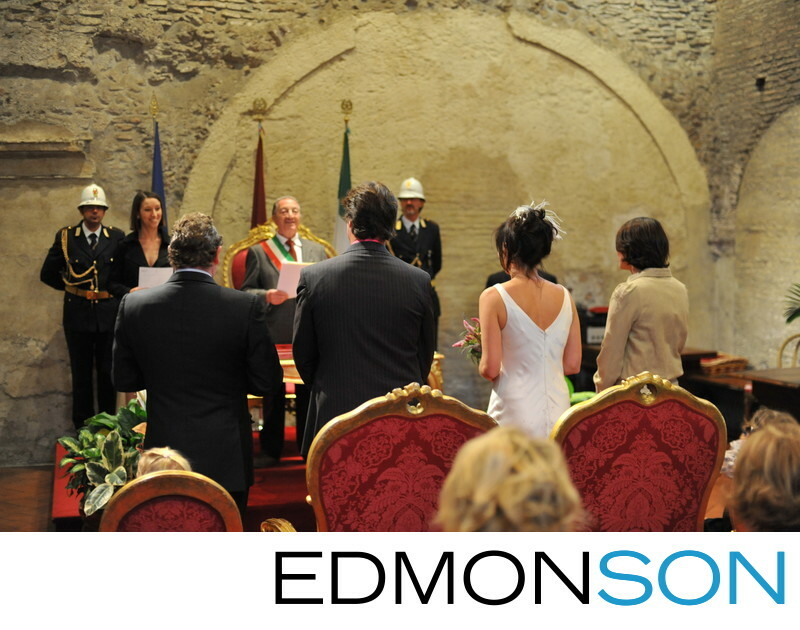 Civil ceremony underway for wedding in Rome, Italy. Later, the couple travelled to Tuscany for another wedding with more family and friends. 1/100; f/2.5; ISO 2500; 50.0 mm.